We have recently progressed to ISO 9001:2015 as part of our commitment to provide customers with the very best service. To obtain a copy of our latest certificate, please contact our accounts department. Posted December 7, 2016 . The Seawork exhibition in Southampton 14-16th June is fast approaching and preparations here are under way. If you need some assistance specifying any connectors into a project you’re currently working on or simply need an excuse to get out of the office for a couple of hours, then why not come and see us. We’ll be on stand number SB8, situated in the Atlantic Hall. Seawork International is Europe’s largest commercial marine and workboat exhibition. Seawork is regarded as the industry’s one-stop-shop, providing buyers, legislators and influencers with direct access to the commercial marine and workboat market, its products, its innovations and its people, for three invaluable days every June. Since 1998 Seawork International has delivered a unique on-shore and on-water trade exhibition. Nowadays, Seawork comprises an exhibition, conference and awards, attracting 7,500 industry professionals, 10,000 products and services, together with over 70 vessels. Seawork International will return 14-16 June 2016 at its new permanent home at the prestigious Mayflower Park in Southampton, UK. 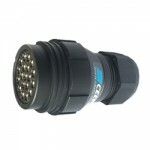 Our 19 pin lighting connectors are now available in crimp. A recessed section within the female insulator accommodates the grounding ring with the live contacts remaining fully protected. 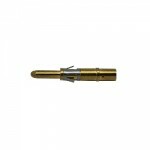 All our contacts are gold plated, spring retained and are each held into place by a harpoon. The insulator is made of tough PPS industrial plastic. Not only are our black finish connectors non-conductive, they are also non-corrosive. 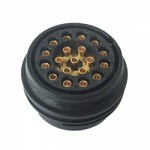 Inline cable connectors are available with either short or long backshells. 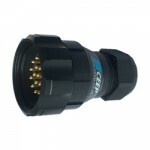 Click here to view a small selection of connectors popular within the Light and Sound Industry. Posted May 6, 2016 . We are pleased to announce that K2 Korea Co., ltd has been appointed distributor of CEEP products in South Korea with immediate effect. We welcome K2 on board and look forward to working with them. 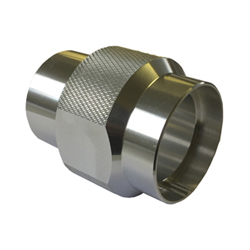 Due to popular demand we have produced a universal assembly tool compatible for both male and female T40 connectors (planforms such as 48M, 419AR, 439R). 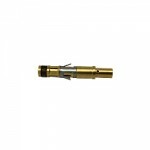 This useful device makes assembly much easier and ensures connectors are fastened tightly. Posted December 1, 2015 . © 2019 CEEP Connectors Ltd. All Rights Reserved.